health care, psychology and human education. Somatics magazine has provided a meeting ground for those who practice mind-body unification in their work and everyday lives. 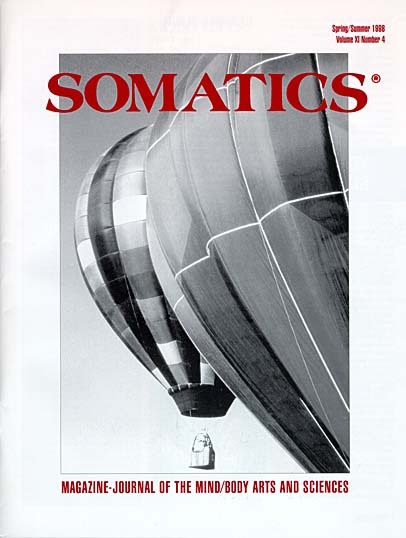 Since 1976, when Thomas Hanna founded the magazine, the field of somatics has grown enormously. The wisdom of the mind-body disciplines has become increasingly recognized and accepted in mainstream culture. What is unique about Somatics magazine? Somatics presents the mind-body disciplines in an integrated way, looking at all areas of human life in an environmental context. Its articles mix the scientific with the enjoyable, and its information is as personally important as it is internationally significant. 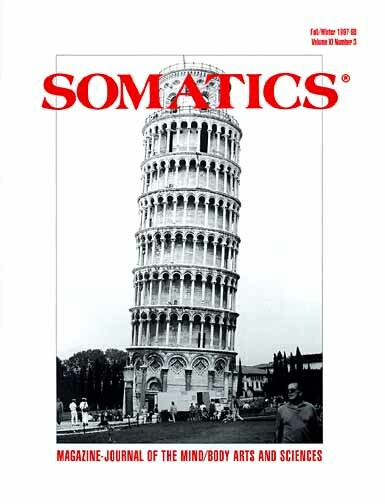 Somatics is a combination magazine and journal. A typical issue includes popular articles, theoretical studies, poetry, book reviews and research papers. Past issues contain articles on biofeedback, somatic philosophy, martial arts, meditation, dance, education, yoga, sensory awareness, ethics, acupuncture and autogenic training, as well as features on mind-body pioneers such as Ida Rolf, Moshe Feldenkrais, Carl Rogers, founding editor Thomas Hanna, Gerda Alexander, Carola Speads and F. Matthias Alexander. Subscribers are located all over the world. They include professionals in such mind-body integration fields as massage therapy, medicine, chiropractic and psychology. They are somatic educators, practitioners and researchers, as well as interested laypersons. Somatics has served as the nexus of this rapidly growing community of people who need to know the latest developments in the mind-body field, whether for their professional practice, their scholastic studies or simply for their own enhanced well-being. The Novato Institute for Somatic Research and Training, co-founded by Thomas Hanna and Eleanor Criswell Hanna in 1975, sponsors somatics. Editors include: Thomas Hanna (dec.), founding editor, and Eleanor Criswell Hanna, editor. Contributing editors: Elizabeth Behnke, Richard Strozzi Heckler, Don Hanlon Johnson, Erik Peper, Ilana Rubenfeld, and Yochanan Rywerant; and consulting editors: Moshe Feldenkrais (dec.), Ashley Montagu, T. George Harris, Karl Pribram, Alexander Lowen, Carl Rogers (dec.), and Ann Ancelin Schutzenberger. Somatics is always interested in articles about mind-body integration-theory, practice and research. 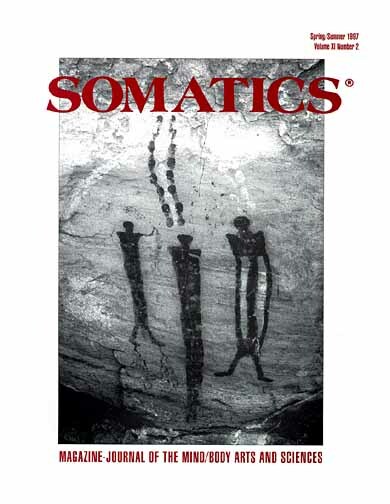 Readers and other professionals are invited to submit appropriate articles for publication in Somatics. Advertising in Somatics magazine is a wonderful way to position yourself within the field of somatics. Our readership is very responsive both to articles and advertising. If your local library does not carry the magazine, please tell your librarian about Somatics. Sample copies are available to librarians. 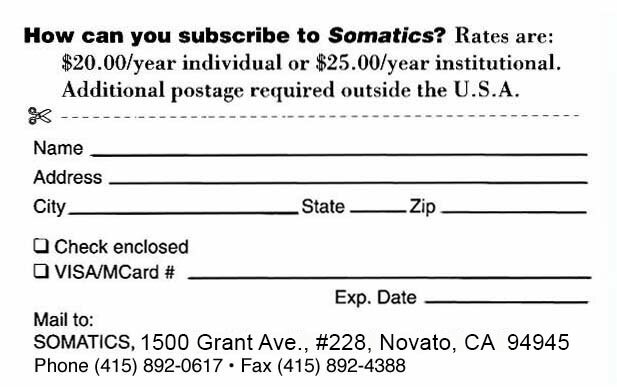 How can you subscribe to Somatics? Rates are: $20.00/year individual or $25.00/year institutional. Additional postage required outside the U.S.A.